Almost three out of five of the candidates who filed nomination in the state of Karnataka for the 2019 Lok Sabha elections have not gone to college. However, the scenario is not that bad in the urban constituencies, like in Bengaluru Central 56 per cent are at least graduates. According to the information provided by the candidates on their affidavits, readily available online on the official election commission's website eci.gov.in, actually, point towards the fact that 96.63 per cent out of a total number of 505 candidates in the state are literate- 212 of them are graduates, 293 have not gone to college. There are five candidates who have a PhD or are at least pursuing the degree, 276 are class 12 pass or less and 207 who have either an undergraduate or a postgraduate degree. Since most of the contesting candidates are middle-aged — their average is 47.1 years with 82 of them falling below 35 years, 215 falling under 35 to 50 years of age and 208 of them who are under 50 years of age. The youngest candidate in the state is 25 years old and the oldest is 86 years of age. Actor Sumalatha Ambareesh, 55, will contest from Mandya as an independent nominee to carry forward her actor-politician husband's legacy. The BJP has given a lot of focus on getting on board young leaders across the country, owing to which, Tejasvi Surya, 28, is the youngest BJP candidate from the state. He is contesting from the Bengaluru South constituency. A major and concerning issue this election is the increasingly tough conditions for millions of poor farmers reeling from rising costs and lower crop prices across the country that could have a remarkable influence. About half the population in our country works in farming, which obviously becomes a vital constituency for any party. Interestingly, 131 farmers themselves are contesting in the Lok Sabha polls from Karnataka this year. Others including 62 social workers, 26 advocates are also contesting from the state. A total of 100 businessmen are contesting in 28 constituencies and four doctors have also filed their nomination in the state. 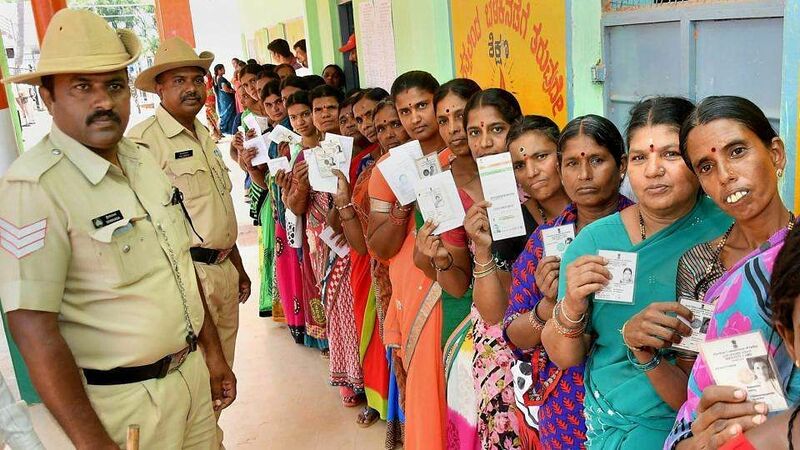 Karnataka, which has a total number of 28 constituencies, had a 65 per cent voter turnout in the last Lok Sabha polls that took place in 2014. This year, the total number of voters stand at 5.03 crore. The polls in the state were held in only 11 seats in 1951-52, the first Lok Sabha elections that India ever saw. The result was in favour of the Indian National Congress, who won 10 out of the total 11 seats, while the remaining seat was won by the Kisan Mazdoor Praja Party. The number of seats were increased to a total of 26 in 1957 and then to 28 in 1977.